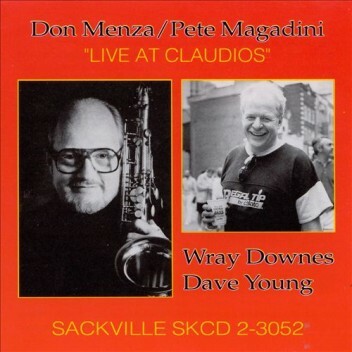 A live session at the once famous Montreal jazz club, Don Menza and Pete Magadini join Dave Young and Wray Downs fir a second CD to accompany the successful and critically acclaimed first CD Bones Blues. Live at Claudios has this beautiful club filled to capacity with jazz enthusiasts for three nights of recording and to also pay a final tribute to “Claudio’s” imminent departure. These are the best of those nights. It’s straight ahead jazz.